Now you can create your own video tutorials that save directly into your account. So whether you want to capture your entire screen, an open application, or just one of your browser tabs, it doesn’t get much easier than this. Access the Recorder tool from the main menu and get started today! Need help? Watch this how-to video. When using the MediaSpot feature, you are essentially creating your own HTML pages, which we refer to as Media Projects. These projects can be quite powerful because you can use the whole gambit, from text and videos to images, audio files, hyperlinks, downloadable documents, and more. You are even provided a full WYSIWYG text editor to customize your text as you see fit. Check out the curriculum example below, Create Learning Stations Using Projects and QR Codes. 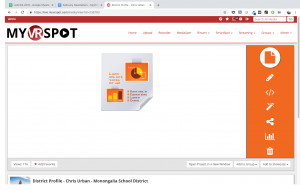 Reserve a day in the library for station work, and create mini-lessons with MediaSpot Projects and QR codes. Your students will love the engagement and the variety of media. Deana Beecher, Media Specialist at MSD of Decatur Township, described how she would build stations for a World History lesson in our recent district profile. Students scan a QR code, which opens up a Project with a video about Malaria and questions about the video content. Then, the next station has a QR code to a Project with an image and text about the Terracotta Warriors, and so on. Add questions and answer keys for the students to check their work. 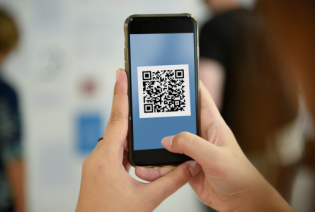 If you need help, watch these videos on how to create MediaSpot Projects or QR codes. 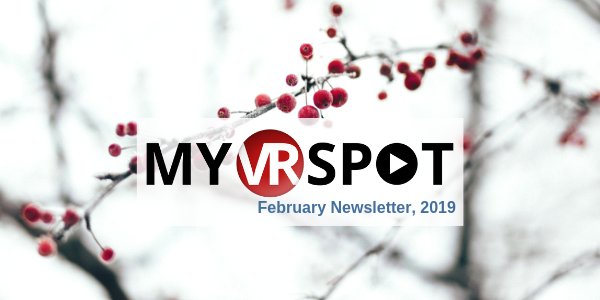 Have you or someone else in your district used MyVRSpot tools to create videos, lessons, or projects that you’re proud of? Share the project with us and it may appear in a future newsletter, or maybe we’ll even contact you for a featured article.